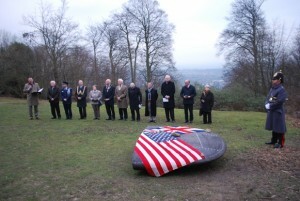 Thursday, 19 March marks the 70th Anniversary of the fatal WW2 American plane crash on Reigate Hill. Tragedy struck the 384th Bomb Group when one of their planes, a B-17(G) with the flight number 43-39035 crashed into the side of Reigate Hill at 17:42hrs on 19 March 1945. All the American crew died at the scene. To commemorate this tragic event a dedication service and memorial unveiling took place on 19 March at Reigate Hill with representatives of those who died in attendance. This event has been the culmination of two years of work by some of Surrey’s leading conservation organisations to reveal and tell the stories of Reigate Hill’s military history. The Surrey Hills Area of Outstanding Natural Beauty (AONB) Board, the National Trust, Gatton Trust and Surrey County Council have worked in partnership to bring the project known as Front Line Surrey Hills to life. An exciting programme of educational and research events have taken place including garrison days at Reigate Fort, living history events and a series of walks and talks. 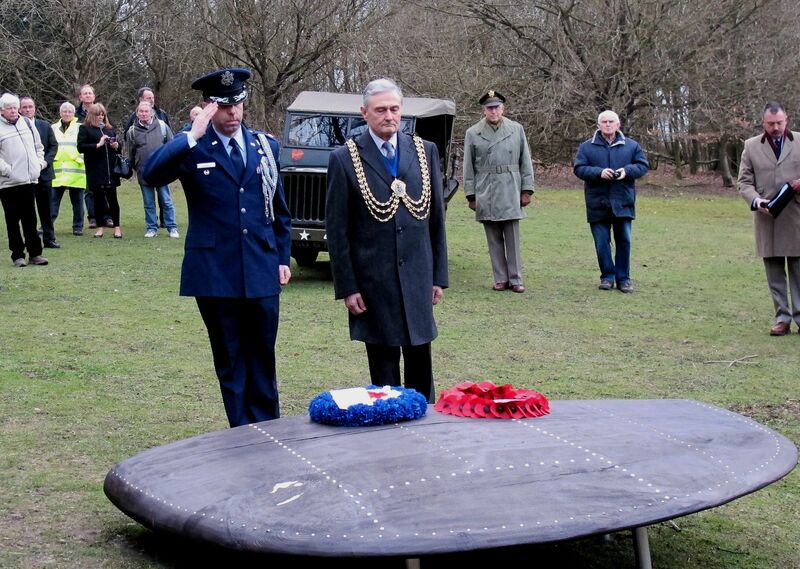 The project was made possible by a grant of £54,000 from the Heritage Lottery Fund (HLF). 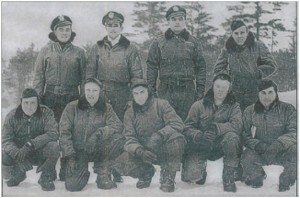 The crew of the flight were on their 13th mission together and their target for 19 March 1945 was to be the oil facilities at Bohlen, Germany. They took off and encountered almost solid cloud for the nine hour round-trip, visibility was so bad they couldn’t attack the primary targets and so bombed the secondary ones, 60 miles south of Bohlen. 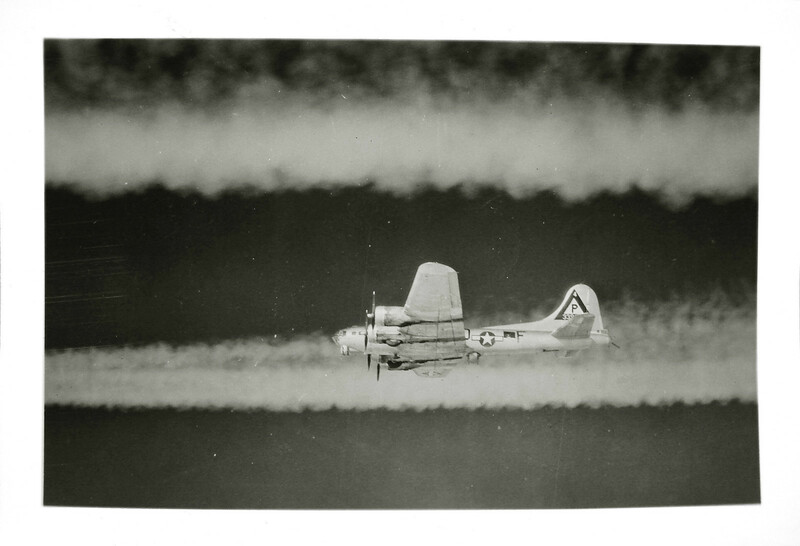 On the way back the aircraft became lost in the cloud, dropping back and fuel visibility became a problem. 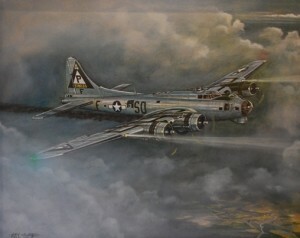 At 17:42hrs, the aircraft crashed into Reigate Hill; a huge explosion and ball of flame. The clearing seen today at the crash site was created by the force of the aircraft crashing into the beech trees. On board the flight that day were; Pilot Robert Stanley Griffin, Co-pilot Herbert Seymour Geller and Navigator Royal A. Runyon. 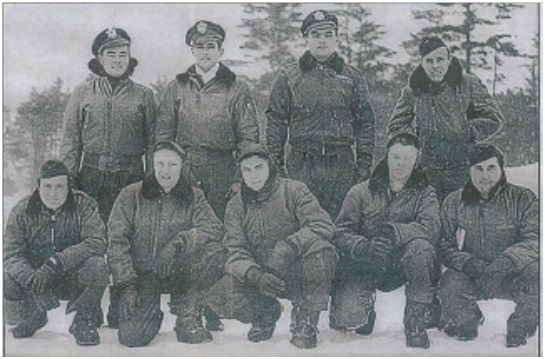 The remainder of the crew included; Staff Sergeant Robert Manbeck, Sergeant Donald W. Jeffrey, Sergeant Philip J. Phillips JR, Sergeant Robert F. Marshall, Sergeant William R. Irons and Sergeant Thomas J. Hickey. 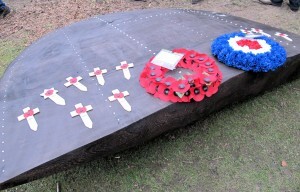 To leave a lasting legacy to the victims of the crash, a sculpture has been positioned at the site of the accident, known as memorial glade on Reigate Hill. Two wing tips, made to replicate the size and shape of a B-17(G)’s have been carved by sculptor Roger Day and been spaced apart according to the dimensions of the aircraft. Molten fuselage aluminium, recovered from the crash site, has also been incorporated into the sculpture.